Carolyn Arends will take on a new role with Renovaré this fall. NOTE: I will be taking August off; next weekly update September 2. Carolyn Arends announced recently that she will soon take on a new role. This fall she will begin as director of education with Renovaré – the organization Richard Foster founded after he wrote Celebration of Discipline in order to encourage and nourish intentional spiritual formation. She will oversee several initiatives, including their Institute of Christian Spiritual Formation. The position will also include opportunities to write and teach. 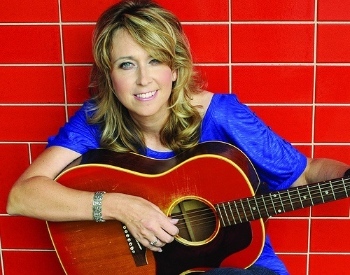 Arends, who lives in Surrey with her husband and children, is probably best known as a musician; she has released 11 albums and toured widely, both on her own and with artists such as Stephen Curtis Chapman and Rich Mullins. She has also written for a wide range of magazines, including six years as a bi-monthly columnist for Christianity Today, often writing on issues related to spiritual formation. For the past 10 years she has served as a speaker for various church groups, camp organizations and schools, including Regent College, where she completed her MA in Theological Studies last year. She has also been teaching at ACTS Seminary, Columbia Bible College and Pacific Life Bible College. I’ve been a beneficiary and advocate of Renovaré resources and principles for a very long time – basically ever since my friend and producer Roy Salmond gave my husband Mark and me the Renovaré Devotional Classics collection right before my first tour 20 years ago. The first retreats I ever led were entitled “Holy Habits” and were based on Foster’s seminal book, and there have been countless intersections between my own life and Renovaré’s ever since. . . . This position feels very much like a continuation and culmination of the things I’ve been working on the past several years. I’ll covet your prayers as I dive in. So am I quitting music? Nah. Music is my second language (maybe my first) and I’ll be speaking it ’til I die (and then, I imagine, I’ll speak it some more). I’m excited to record a 20th anniversary project with Spencer and Roy in August (my first CD was released August 15, 1995). Beyond that – well, the plan will reveal itself in good time. Renovaré has a long track record of allowing their initiatives to be shaped in part by the giftings of their team members, so I am excited to see what that looks like down the road. Conrade Yap shares his love for books in several settings. 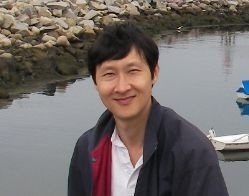 Vancouver pastor Conrade Yap has made it to the Amazon Top 1000 Review List. Apparently he is #989 on the list of most prolific reviewers for the omnipresent book-and-everything-else site. I’m not surprised, having followed his book reviews over the past couple of years. How he manages to write (useful) weekly reviews about books on a wide range of subject material topics while also pastoring and spending time with his family is beyond me. Apart from the reviews he posts on Amazon, he has two main sites – Panorama of a Book Saint and Yapdates. Yap, who has degrees in engineering (Singapore) and business (Warwick, UK) as well in theology (Gordon-Conwell, Regent College), spent 15 years in IT-related business with various multinational corporations before moving into the pastorate. He is now associate pastor at Lord’s Peace Chapel in the Marpole area of south Vancouver. Reading is a passion of mine. Since the introduction of the blogging platform, I have been reading and reviewing books actively. As a teaching pastor, books (both printed and electronic) are the mainstay of my ministry. There are millions of books out there in the market. Many are being published each day. I have done hundreds of reviews, many published on my main blog Yapdates since 2005. Sharing my views from a Christian lens. I have benefited from Yap’s reviews and I hope more Metro Vancouver readers will take advantage of his and insights and industry. It has been brought to my attention that a number of our parishioners, and in particular our senior citizens, have been contacted on the phone by persons who are clearly engaging in some kind of financial fraud. These phone calls either promise something if you send money to them, or in some cases, pretend to be a government official who say you owe money. This sort of crime is called affinity fraud as it targets certain members of a community, in this case seniors. Please be on your guard for such calls in the future. [Brochures] from the RCMP . 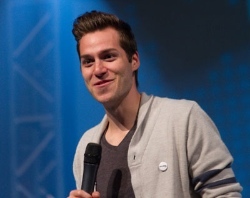 . . and the links below offer some very good tips of what to look for and what to do should you be contacted. . . .
Simon Gau and Broadway Church Band will be at Coastal’s Regen August 19. * Praise Fest: August 1 at the Stetson Bowl in Cloverdale. TobyMac, Peter Furler and many more. * Regen: August 5 (and every Wednesday until the end of the month). Youth-oriented speakers and bands at Coastal Church. * Jazz Evensong: August 5 (and every Wednesday until the end of the month). Great jazz in a comfortable setting at Brentwood Presbyterian in Burnaby. * The Global Leadership Summit: August 6 – 7 at Broadway Church. Also at Cedar Grove Church in Surrey. * Josh Garrels in Concert: August 20 at the Vogue Theatre. Not to be missed. * Caring for Aging Parents: August 27 lecture at Carey on the UBC campus; part of a series of events co-sponsored by Carey and St. Mark’s.